An Acadia Winter Trails Association volunteer grooms a carriage road in Acadia National Park for cross-country skiing. Officials with a park advocacy group say they’re making arrangements to plow snow and groom carriage trails in Acadia National Park, which would help maintain winter access to the park despite the ongoing federal government shutdown. The non-profit Friends of Acadia said Tuesday in a statement that it has reached an agreement with the National Park Service to have volunteers with the Acadia Winter Trails Association groom snow on the park’s carriage trails for cross-country skiing while the shutdown continues. It also said that maintenance crews who remain on duty are expected to resume plowing snow along Ocean Drive and at trailhead parking areas after getting guidance from the park service about using entrance fees to fund the work. Snow is forecast for Friday for Mount Desert Island, the group noted. If enough snow accumulates, the grooming and plowing would allow visitors to access Acadia in ways to which they are accustomed in winter. Many of the park’s buildings and roads are closed each winter, even when the federal government is fully functional, but all trails and the section of Ocean Drive by Sand Beach and Thunder Hole remain open year round, conditions permitting. Most of Acadia’s 75 employees have been placed on furlough since the shutdown began nearly four weeks ago, on Dec. 22, 2018. Since then there has been no trash collection, restrooms have been closed, and no visitor information services have been available, but visitors have not caused or experienced known problems, according to David MacDonald, CEO of the friends group. A small number of rangers and maintenance workers deemed “essential” by statute continue to work during the shutdown without pay, as have U.S. Coast Guard members, airport security screeners and other federal workers, the group said. Plow drivers are among those who have been furloughed at Acadia, which has resulted in Ocean Drive temporarily being closed several times over the past few weeks due to snow or freezing rain. Grooming carriage trails for skiing has not been an issue so far this winter because there hasn’t been enough snow buildup for grooming operations. 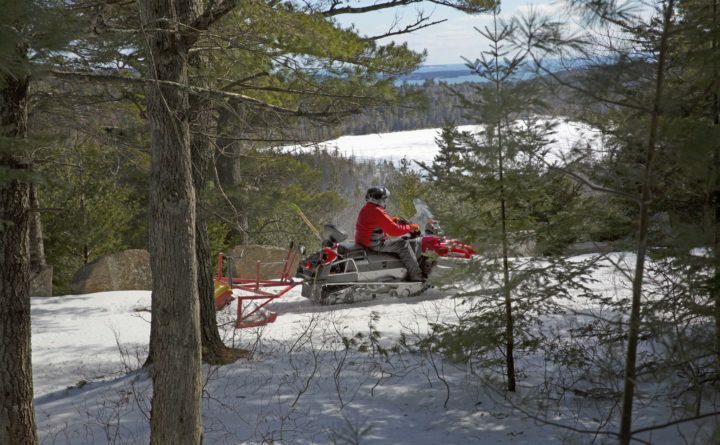 Ground on the carriage roads must be frozen and there must be at least six inches of frozen base snow for grooming to begin, Friends of Acadia officials said. “We heard from a lot of community members who were surprised that the shut-down would also preclude volunteerism,” MacDonald said in the statement, adding that the group is glad its volunteers will now be able to resume grooming the carriage trails. He urged visitors to exercise good judgment when in the park during the shutdown so as not to cause complications for the limited staff who remain on duty and are juggling many tasks.